The Mutual Safe Group boasts registered and accredited in-house Locksmiths as well as appointed regional Locksmiths. Our Locksmiths are available for repairing or replacing locks and also changing combination locks. Nationwide repair and servicing of our entire range and the majority of other product ranges, available at your doorstep. We also do relocation’s and re-installations of safes across the country, whether it is a short move around the corner, or a long distance move across country. At Mutual we understand the value of safes that have become heirlooms, having passed from generation to generation. This journey often results in wear and tear and our refurbishing team is on hand to restore your prized safe and return it in showroom condition! We can also modify your safe to meet your requirements. With branches and accredited agents throughout the country, we are always available to assist with the servicing of safes, strong room doors and vaults. Simply contact us to make arrangements and one of our technicians will gladly do a site visit at your convenience. 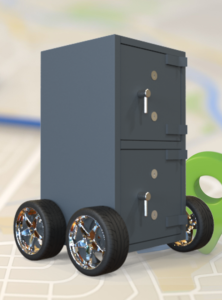 Our design and installation teams are available to manufacture custom design safes to suit your specific requirements and ensure that they are correctly positioned and installed to maximise functionality and usability. ASGLO is positioned in the Logistics industry of Southern Africa. We offer a wide range of services including installing vault and fire doors, specialized rigging of mobile ATM trailers and Drop Down Units, construction of Turnkey ATM cubicles, Long Haul Transportation Services, installation of demountable vaults, Waste removal and construction related installations. We pride ourselves on the following principles: Client Satisfaction, Efficiency and Team Work. This is the foundation for our continual growth and success.